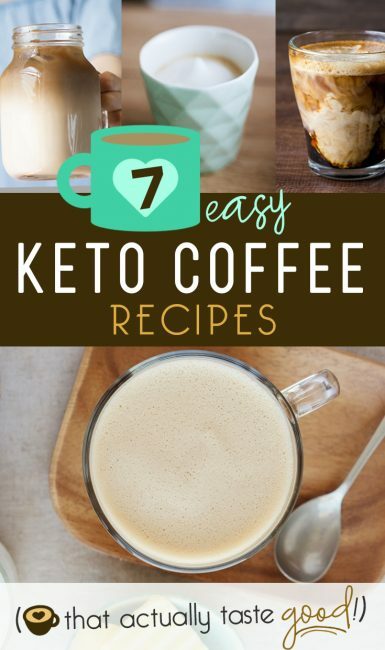 7 of the BEST Keto Coffee Recipes– Low Carb & Sugar Free! 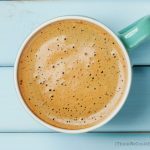 When I was first researching the Keto Diet, the very first thing I googled was “Keto Coffee.” I needed to know if this ketogenic diet would be conducive with my coffee habit! Coffee is pretty much my only indulgence. I thoroughly enjoy it, and yes, I’m probably addicted. But I’m ok with that! 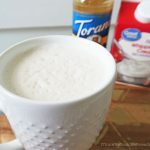 It helps me get out of bed in the morning knowing that there is a warm pot of coffee just waiting for me to add some milk and vanilla caramel coffee creamer. The problem: I KNOW there is TOO much sugar in its current state and as I’ve hit my mid-thirties, my weight seems to be a little harder to maintain without more intentionality. This is what led me to look into the low-card, high-fat keto diet. I know several people who swear by it and have had GREAT results. And really, it is VERY practical, again, I just had to make sure it is coffee friendly! 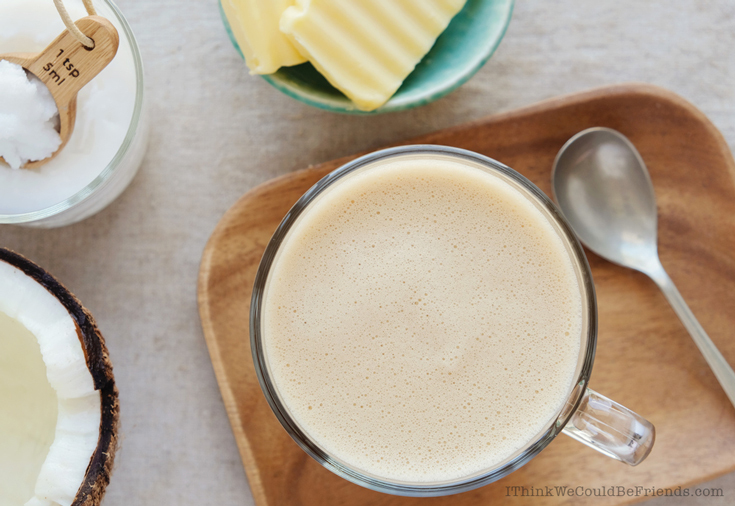 Like most things on the keto diet, keto coffee involves lots of “good fats” and no (or low) carbs (aka sugar free). These good fats can come in the form of heavy whipping cream (yum! ), butter, coconut oil and more. Most will claim that you need to “start your day right.” That when you wake up in the morning your body is naturally in a fat burning state. So, to take advantage of this and keep the fat burning going, we don’t want to start with empty carbs (like my old sugary-but-glorious-coffee), but rather, intake good fats that keep it going. 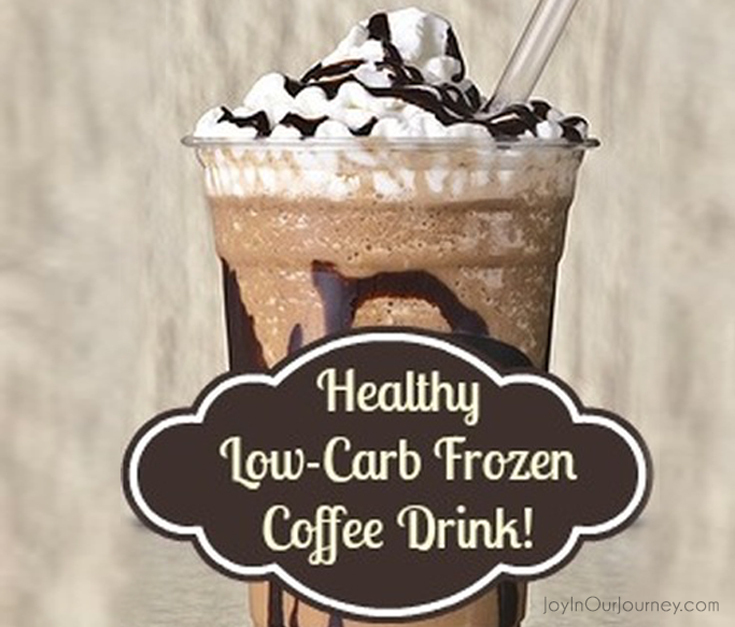 This stabilizes our blood sugar and sets us up for a fat-burning day! 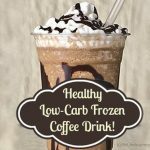 Not all keto coffee is created the same! You’ll notice many different ingredients below. I started with the simplest and easiest ingredients (you likely have most of these already! ), to ones with more complicated ingredients. However, these more involved coffee recipes claim to offer the most nutritional punch, so be sure to read about them when you click through for the recipe! So, a few weeks into this new Keto “Lifestyle” (not a diet, right? 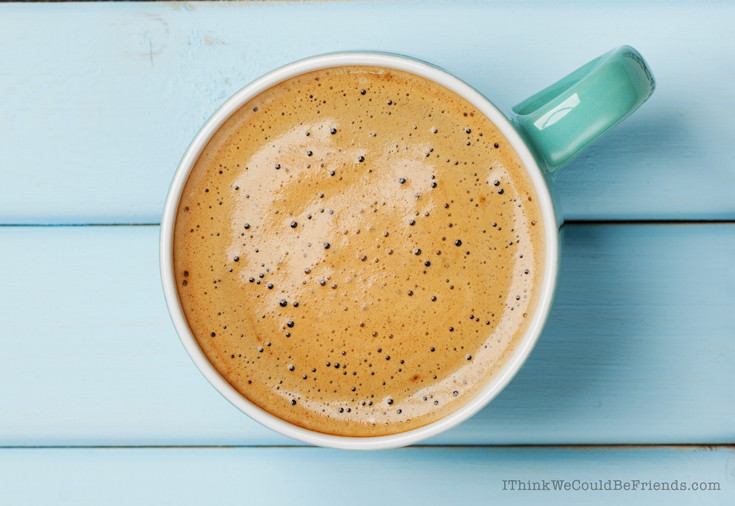 ;) I’ve tried quite a few different coffee concoctions, and here are my favorites. I’ve ranked them on time to prepare and of course, TASTE! I don’t like to spend alot of time preparing my keto coffee, so anything that was too involved (or involved strange ingredients) just didn’t make the cut. 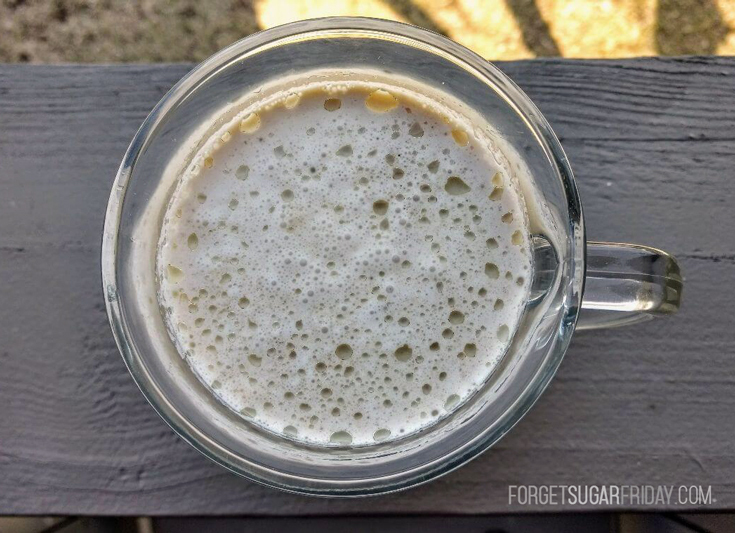 This has quickly become my go-to sugar free keto coffee drink. To be honest, I don’t really care for the taste of most sugar free products. Whether it is candy or coffee syrup, it always tastes fake to me. However, I quickly learned the trick to using this sugar-free vanilla syrup: use just enough to hardly taste it and NO MORE! Fill your coffee mug 1/3 full with the heavy whipping cream. Microwave for 20-30 seconds until hot. Use a hand held frother to froth milk for 30 seconds. Add 1/2 tsp. syrup. Fill mug the rest of the way with coffee. Add more syrup to taste. I like to use a dark or espresso roast coffee to create more of a “latte” taste and to balance the heavy cream. If you don’t have a milk frother ($5 or $6 on Amazon–the price bounces around! ), you can froth the cream in a mason jar. Just microwave for the same time, remove from microwave, put a lid on the jar and then shake for 30 seconds. The coffee syrups are a little expensive (at least to me! ), but do know that they last quite awhile. Also, this bottle was $4.78 at Walmart and is currently $4.79 on Amazon, so the price is about the same either place. Do I need to froth the cream? Pre-keto I had mastered making caramel macchiatos at home. It is my favorite Starbucks drink, but I couldn’t justify the price everyday! The “real” recipe uses real creamy caramel syrup and vanilla syrup. And its actually pretty simple to make at home. So, I was on a mission to come up with a Keto friendly version. 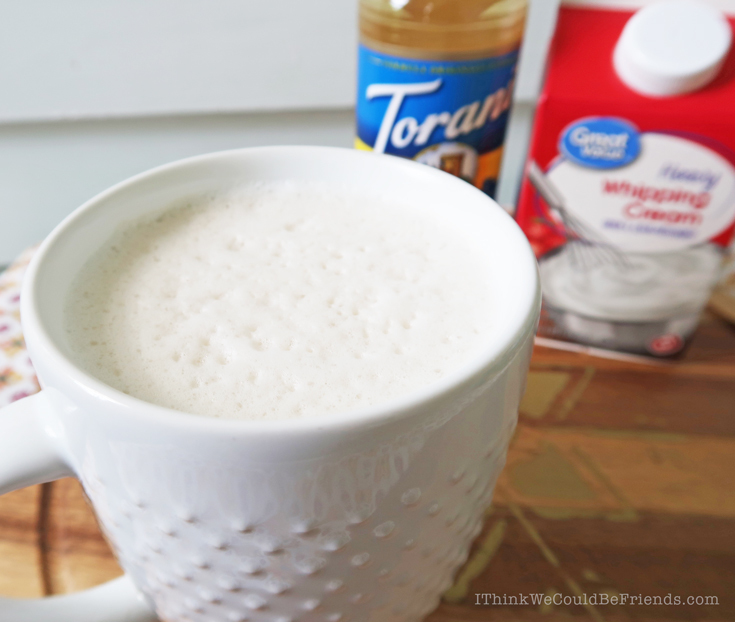 Add the heavy whipping cream to your coffee mug. Microwave for 30 seconds until hot. 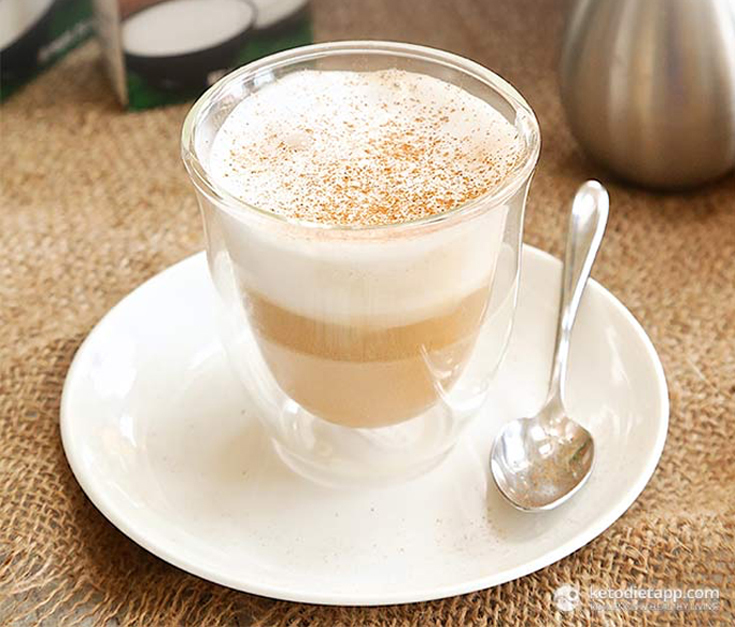 Use a hand held frother to froth milk for 30 seconds. Add Swerve and extracts. Fill mug the rest of the way with coffee. Mix. (I just use the frother to mix it all together). 1. 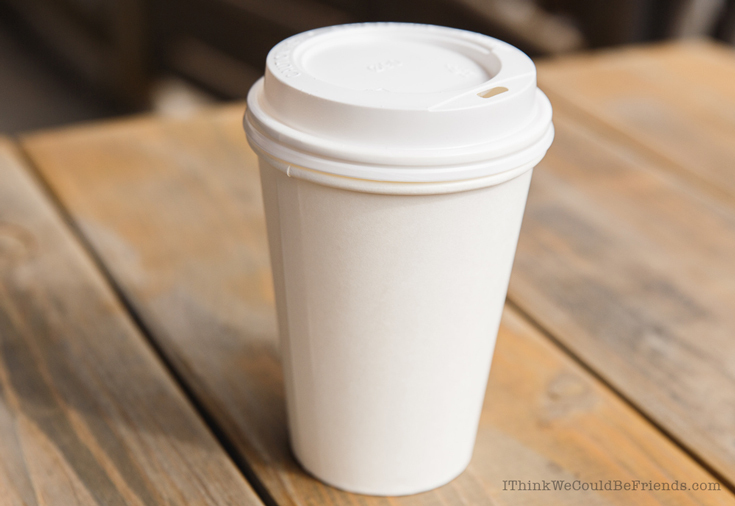 The main flavors of a caramel macchiato are vanilla and caramel. At first I tried to re-create this with sugar free coffee syrups and it did not taste good AT ALL! The key to this is using the extracts for the flavor and then a sugar substitute of your choice. My preference is Swerve, but others will work, too! 2. 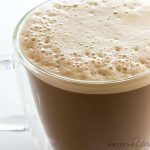 I like to use a dark or espresso roast coffee to create a more accurate copycat caramel macchiato. If you don’t have a milk frother ($5 or $6 on Amazon–the price bounces around! ), you can froth the cream in a mason jar. Just microwave for the same time, remove from microwave, put a lid on the jar and then shake for 30 seconds. 3. You may need to experiment with the quantities. You may need more or less extracts and sweetener depending on how strong your coffee is. My Ninja Coffee Bar brews coffee strong (even on the lightest setting), so I generally need to add a little more. Keep track of your recipe so you can recreate it in the future, this one is a KEEPER once you get it down!! 4. Tastes great iced, too! I usually make this after lunch time when the leftover coffee from the morning is sitting cold in the pot. Just pour all of the ingredients into a large cup, stir and then add ice! While I love my flavored coffee creamer, if I’m out and about, I’ll also take my coffee with cream and sugar. BUT, all sugar substitutes are NOT created the same and some have carbs! What’s best: try out which sugar replacement you prefer. For me, I really like Swerve. To have coffee with full cream and a little of this doesn’t feel like a sacrifice at all. Directions: Put cream and sugar substitute in the bottom of coffee cup. Add coffee. I know, easy peasy! If you’re at home, I love to froth the cream. 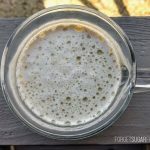 It’s an extra step and takes an extra minute or two, but to me, having that heavenly froth on top of my coffee is worth it and makes it feel like a treat! This tastes GREAT, but requires more ingredients. And the recipe also says to serve it cold, but most of the year, I need my coffee hot, but fortunately you can make it warm, too! 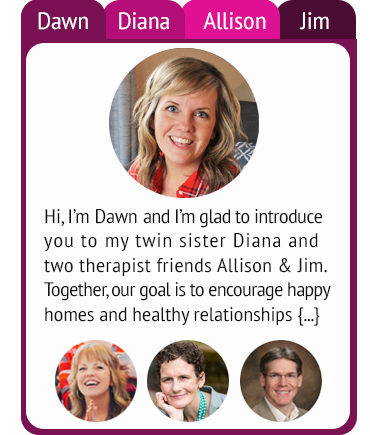 I know, things like “MCT oil” can sound a little strange when you’re first starting out. But basically, it is a form of coconut oil and you’ll be able to use it for other recipes, too! Be prepared! 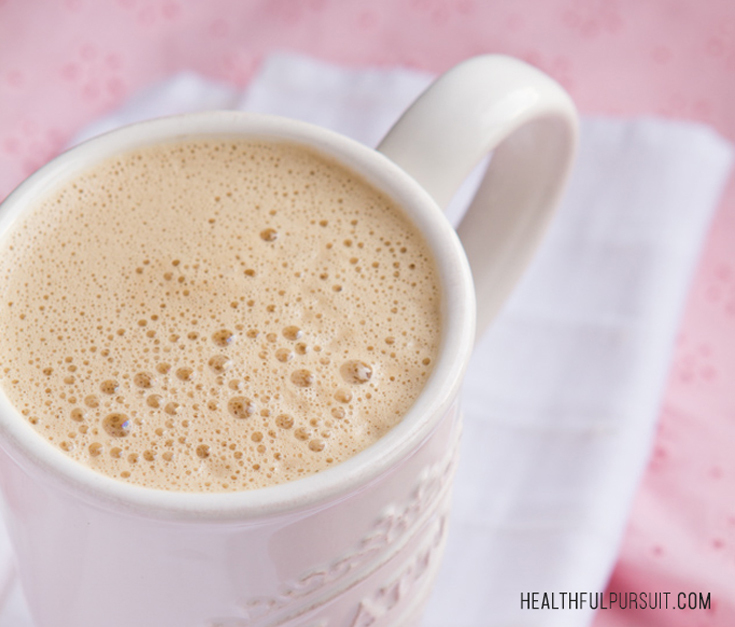 Once you start googling “Keto Coffee Recipes” you’ll be inundated with Butter Coffee and Bullet Proof Coffee recipes! I’ve tried butter and bullet proof coffee in the past, but honestly, it never sat well in my stomach. 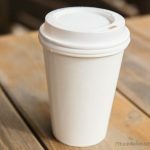 Most of these types of coffee include a combination of fats like butter, ghee and coconut or MCT oil. The idea is that the “healthy fats” fill you up and boost your energy and brain power in the morning. Awesome benefits! But only if you can stomach it!! What I really like about this version is that it’s lighter and sits well in my stomach. It is light, but filling and tastes great! The only drawback to this coffee for me is having to haul out and clean my blender each morning. I can’t seem to find my immersion blender, but if you find you enjoy this type of coffee, it is definitely worth the investment for less than $20. Again, I know, things like “MCT Oil” and “Collagen Protein Powder” can sound a little strange when you’re first starting out. But they are a great way to add healthy fats and proteins into your diet EASILY! Ok, so this is going to take the butter coffee to a whole new level! 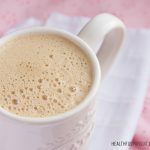 Leanne from HealthfulPursuit.com is a nutrition educator and specifically formulated this Keto coffee recipe to help women burn fat and regulate hormones first thing in the morning. Who doesn’t want that!?! Leanne also notes that you can substitute coconut oil in place of the MCT oil but that she prefers the taste of the MCT oil. And again, you do have to pull out the blender for this one, but I think it is worth it!! Are you sensing a trend? Many of these same ingredients show up again and again! It may break the bank to purchase them ALL at once, but I try to pick up one or two a week and then it isn’t so bad. PLUS, I’m saving money by not eating out, so that helps off set the cost as well! To be honest, I don’t love the taste of coconut. Many recipes on the Keto diet call for coconut oil, coconut cream, and coconut milk. I get it. It is a powerhouse of nutrients and healthy fats. But, the good news is that I am learning to like the taste. 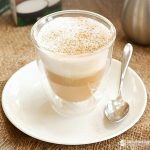 This cappuccino would have never appealed to me in the past, but, for the purposes of this blog post, I needed to give it a try. And honestly? I really liked the coconut and cinnamon combination. If I had a choice of any on here, it wouldn’t be my first pick, but as an occasional change of pace, I’ve come to enjoy it! 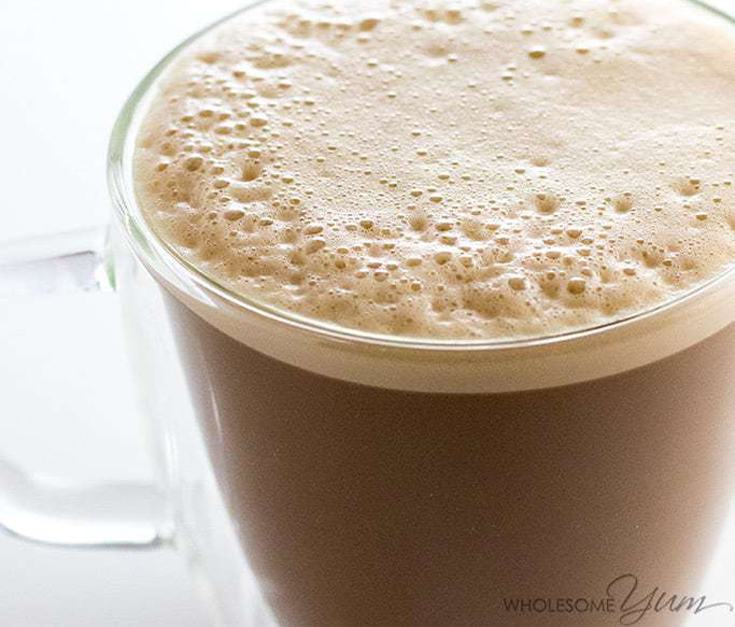 This is another that works well with a dark or espresso roast coffee to create more of a “latte” taste. Again, if you don’t have a milk frother ($5 or $6 on Amazon–the price bounces around! ), you can froth the coconut cream in a mason jar. Just microwave for the same time, remove from microwave, put a lid on the jar and then shake for 30 seconds. And then we arrive at the dessert coffee recipe! When you just need to feel like you haven’t given up everything good tasting in life, this is your drink!